MEXICO CITY : The statistics published this week by the Statistics Institute of Mexican Government has no reason whatsoever for the plastics industry to cheer about. According to the retails figures published for the month of January, sale of food, drink and other domestic materials that uses plastics has recorded a zero growth. According to industry expert Eduardo de la Tijera Coeta, this should be considered as a clear evidence of economy slowdown in the country. He forecasts a drastic contraction in consumption of plastics this year. 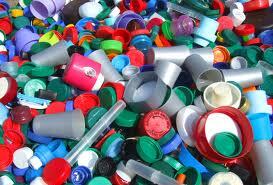 “In 2013 we cannot aspire to growth in the consumption of plastics larger than last year’s 5.3 percent,” he wrote. “On the contrary,” he adds, “growth may be at least one percentage point down” on last year’s. He cautions that such a situation poses a big threat to Mexican plastic processors and raw material suppliers operating in the country. Eduardo calls upon the entire industry to act quickly and attempt to save the industry from a huge disaster. A collective action is what is needed, he says. The results of the survey conducted by the Instituto Nacional de Estadística y Geografía (Inegi) which was revealed Thursday indicates a net growth of 1.8% in retail sales during the month of January, compared to that of same month the previous year. The rise of 14% in automotive sales contributed to the growth largely. Barring the rise in automotive sales, the retail sales in other sectors were literally negligible or nil. Food (+0.1 percent), Drinks (+1.6 percent) and Self-service stores (+0.2 percent) all recorded practically no growth. To surprise, the sales of furniture and household products have dropped by a huge 6.8 percent. De la Tijera is president and CEO of Grupo Texne, of Mexico City, which offers consulting services to the chemical, petrochemical and plastics industries.